WASHINGTON DC - A massive snowstorm reported the US National Weather Service (US) will hit the eastern US region to the New England region as of Wednesday (3/1) local time. 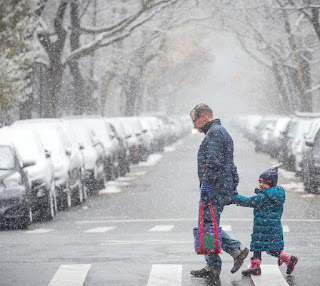 "A snowstorm accompanied by a gust of wind will cause a breakdown of power lines and snowflakes will fill the streets so that makes transportation flow difficult and very dangerous to cross," the US National Weather Service said on Tuesday (2/1). The threat of a severe snowstorm occurred after the vast majority of the eastern United States to northern Florida, hit by a wave of cold temperatures expected to end at the end of the week. Due to this cold wave, on Tuesday (2/1), Florida Governor Rick Scott called on his inhabitants of the north to prepare for a cold wave. As of Wednesday (3/1), eight people have died from cold waves in eastern United States. 0 Response to "A Stormy Snow Storm Will Hit the Eastern US Territory"